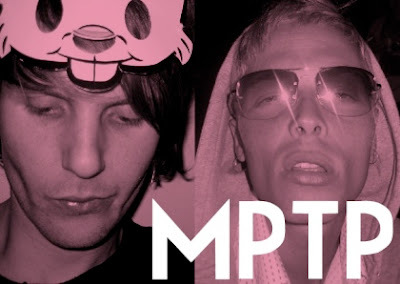 MPTP is a new electro-pop duo from Gothenburg. They're unique mixture of dark, industrial post-punk and dancier electronic sets them apart from the bulk of Swedish artists ... and they're just pretty damn fresh, anyway. "Jim Morrison" is a tightly-constructed, foreboding, and shoe-gazey sort of take on something you could believe Bauhaus writing. The 7" features two remixes, one by Samuraj Cities, the other by Zeigeist (for download/streaming below). Both remixes enhance the dance elements of the song, filter out some of the heavier, more depressing elements, and bring that scream-y "come on!" to the front and center of the vocals mix. The Zeigeist remix sounds like a Y.M.O. re-edit ... that goofy sort of techno dubbing of a stereotypically oriental hook. I love it.